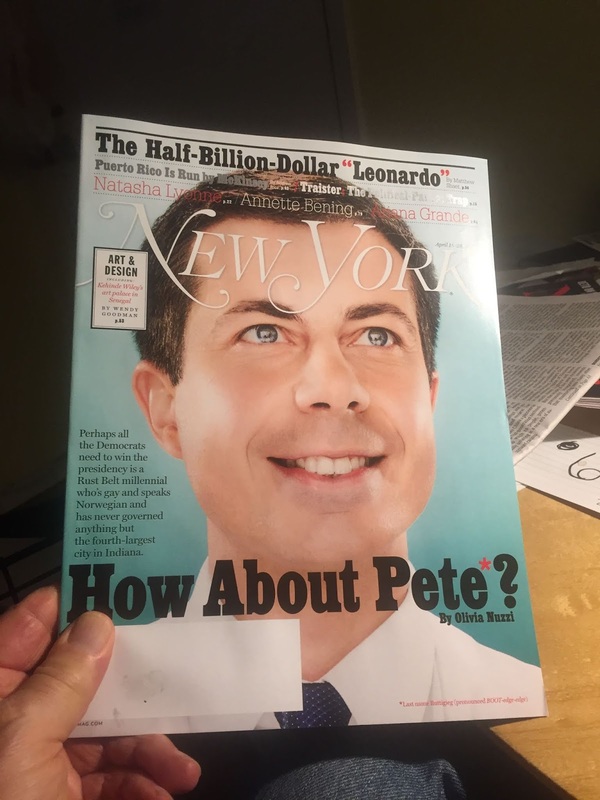 The just-came-out-today New York Magazine cover of 'Mayor Pete' who announced yesterday that he's running. I'm interested in the phenomenon of Pete. He's most of the talk right now. All the print and all the radio and all the TV love him. The other candidates must envy it. Does he present too perfectly maybe? Maybe. Could it get annoying? It could. I'm still a Bernie guy. We'll see what happens.